She was the first ship built by Blohm & Voss post WWII in 1955, Germany gave special attention to this vessel as she was considered the Pride of Germany, No expense was spared and the builders were truly masters of their art, it had a major retrofit in 1960. 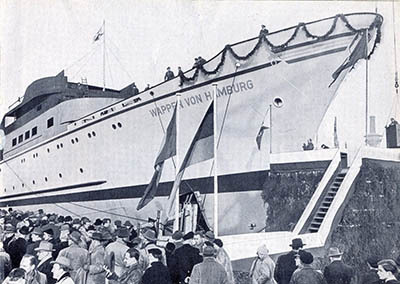 Intended to cruise between Hamburg and other nearby ports it was called the Wappen Von Hamburg. Since it was a day ship, it had a huge initial capacity of more than 1,600 people. Its 6,000 horsepower engines could power the ship at 18 knots. 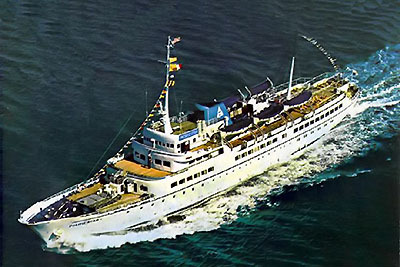 In 1960, the Wappen Von Hamburg was sold to the Greek Nomikos Line and renamed the Delos. She was refitted with a swimming pool, full air conditioning and cabins for 186 single class passengers. Also on board were some of the first on-board “stores” offering items to the passengers as well a spa and a beauty salon. 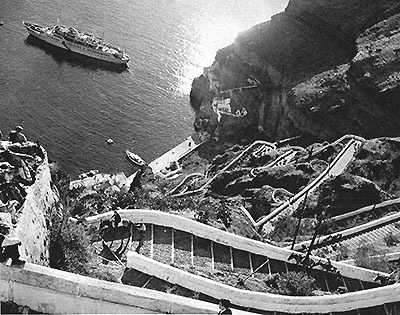 “Delos was considered a pioneering cruise ship and outclassed the motley fleet of aged but interesting ships sailing from Greece to the Aegean at the time,” Mr. Peter Knego wrote on the Maritime Matters website. Delos stayed on the Greek Islands run until 1967 when it was purchased by Westours and renamed the Polar Star. Credits: I would like to that Cai Rönnau of www.inselfaehren.de for providing us with a fabulous set of historical images from his archives. Westours was the brainchild of Chuck West, one of the great entrepreneurs in the history of the Alaskan visitor industry. Eventually West – often called “Mr. Alaska” by others in the visitor industry – left HAL and formed Cruise West and continued serving the Inside Passage with smaller cruise ships. 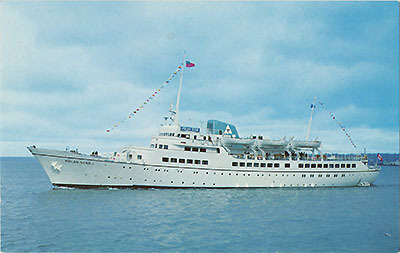 In 1970, the Polar Star was transferred to West Lines and renamed the Pacific Star. 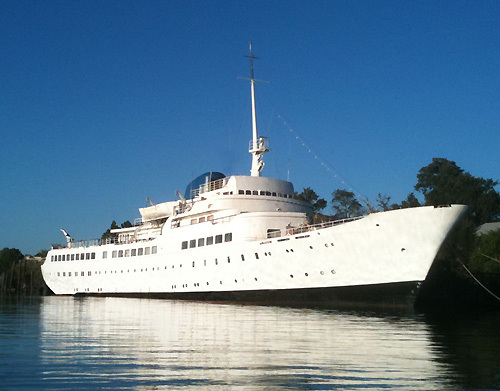 In 1972, she was sold to Xanadu Cruises of Panama and renamed the Xanadu. Unfortunately by the mid 1970s Xanadu Cruises was suffering from industry doldrums and was significantly hurt by the world-wide fuel crisis. The industry as a whole had tailed off and wouldn’t recover until “The Love Boat” television show started building interest in the late 1970s. 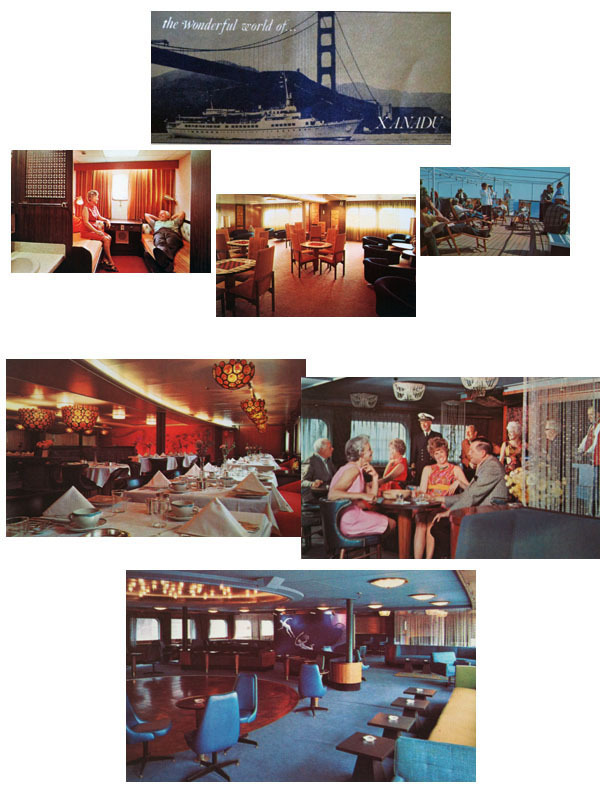 The Xanadu was laid up in Vancouver from 1977 into the early 1980s. In 1985, she was sold to a company in Los Angeles to be used as a exhibition and trade fair ship and named the Expex. This was to be known as her final run. The Expex business never took flight and this was the beginning of a bad era for the former Wappen Von Hamburg. Unfortunately, funding to refurbish the ship never came. The friendships organization utilized this ship for dockside living for close to 100 persons that worked and lived on her. Friendships could no longer maintain her needs and she was then sold to Dr. James Mitchell. Dr. Mitchell’s key negotiation was that he intended to turn this vessel into a children’s hospital ship ( according to Sandra Tipton of Friendships.org ) The price was almost at a give away. No more then 2 weeks later Dr. Mitchell had her up on the chopping block for sale once again. 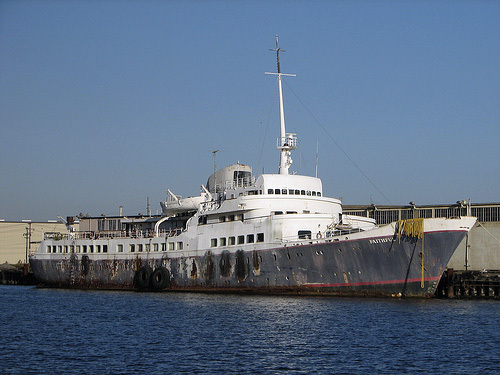 In 2005 Dr. Mitchell sold the Faithful to a Delaware Corporation Al Boraq Aviation who had her towed to Alameda to be refurbished by Bay Ship and Yacht as a private luxury yacht. As time went by nothing happened. Alameda deamed her as an abandoned vessel and the process to make her go away began. Federal courts seized her and the story continues… to this day Dr. James Mitchell still claims ownership for this vessel and has pulled multiple internet scams to unsuspecting potential buyers. In the early morning hours of Feb. 17, 2007 two tugboats dragged the boat to a mooring location in Solano County near the city of Rio Vista, where she was to spend the remainder of her years, possibly to be reincarnated as a restaurant. That’s the ongoing saga of the Faithful, which became the subject of some public interest after the City Council voted in January to have the boat towed for $200,000 by Curt Lind of Cal Equipment. Following the council vote, three people came forward offering to save the city money by paying out of their own pocket to have the boat towed away. However, the city declined the offer. The city trusted Mr. Lind, a longtime boat salvager, to take the vessel to a property he either owned or controlled near the Rio Vista. Alameda made a contract with Mr. Lind to grant him title of the vessel. Lind complied with a Coast Guard-approved tow plan for the boat, which included outfitting the tugboats with radar. After the boat was towed, Lind sent pictures to the city proving he had been successful. The city had been working for more than 2 years to come up with a plan to get rid of the Faithful, which was illegally moored off the former Fleet Industrial Supply Center on Alameda’s West End. The future was looking grim for this historical gem. Mr. Lind spent close to a year trying to find a suitable home for this vessel and nothing was panning out. The problem is that no one can find a home for her according to Mr. Lind. After much trying the option of scrap came up. This was the easy way out but it’s hard for a man like Mr. lind to see a historical vessel with great potential turned to scrap. In 2008 Mr. Chris Willson negotiated with Mr. Lind and a deal was established. The ship was moved to the city of Rio Vista to begin restoration. She has been docked at this location for a little over a year now with plans to move her to a location that suits her. This ships story still has a few chapters left and will remain under full restoration under the ownership of Mr. Chris Willson. Learn how you can help in the restoration process. We need materials, donations and volunteers to keep this dream alive. We greatly appreciate your help and generosity. Thank you Mr. Peter Knego for keeping the dream alive.